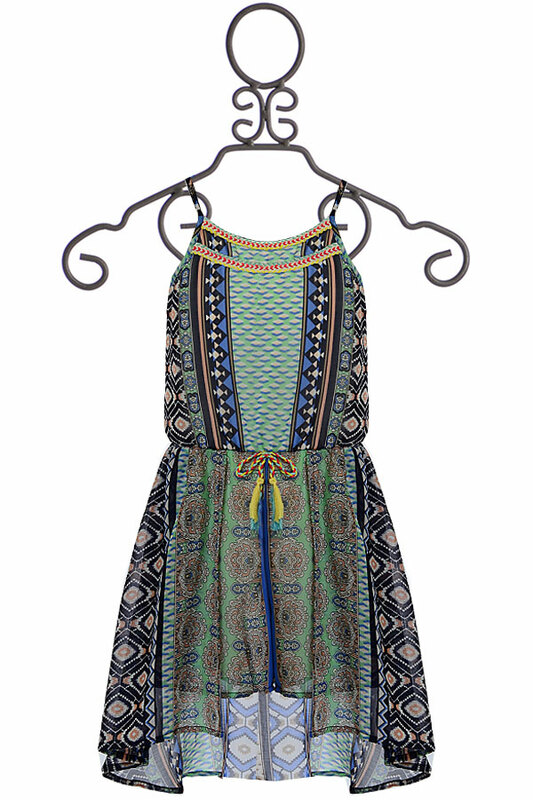 $41.6 - Cute and sweet, this designer dress from Truly Me is available in tween sizes. The bodice has a wide neckline with thin straps. Two layers of trim accents the shape of the neck. The mixed pattern print covers the fabric to the hem. A bow is tied on the front of the stretch waist, completed with tassels. The high low hemline is the perfect finish.